See's Candies has a great selection of assorted chocolates, truffles and fudge perfect for Valentine's Day! I've had the pleasure of sampling several of their products and they are all delicious! My children absolutely love their lollypops! They always have a difficult time choosing a flavor, but know that on our next visit they can choose a different one! See's Candies was founded in 1921 and currently offers over 100 varieties of mouth-watering candies! They also offer sugar free and Kosher options. This giveaway will end February 26th at Midnight EST. Disclaimer: I received complimentary See's candy from See's Candies for the purpose of writing a review and hosting a giveaway. Regardless, I only recommend products or services I use personally and/or believe will be a good fit for my readers. The views and opinions expressed on this blog are purely my own. Results may vary. No monetary compensation was received. I would love to receive Truffles (1 lb). I love the featured candy - the strawberry truffles.... mmmmm! I can't tell if any of their heart boxes have chocolate covered cherries but those are my favorites! I'd like to receive the Traditional Red Heart with Dark Chocolates. A classic Nuts & Chews box. 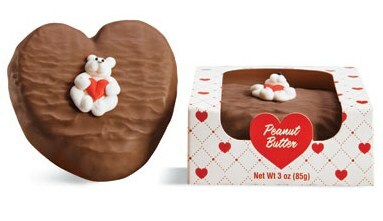 I would love to have their Traditional Red Heart with Nuts & Chews. I'd choose the traditional red heart with milk chocolate. I like to receive the standard box of soft center chocolates from See's for Valentine's Day. My boyfriend loves their Peanut Brittle, so he gets that from me every year. I would love the Dark Nuts & Chews to share with my family, thanks! I like to give my love California Brittle. He loves it! I like the Strawberry truffles. I'd like to receive the Sweet Indulgence heart. I would love to give the Sweet Indulgence heart. I'd like to receive the 1 lb. Truffles! I would like the traditional red heart with nuts and chews. I love the nuts and chews. You can NEVER go wrong with See's truffles, strawberry on any other variety! The Valentine's candy has been removed from the website. I would love to try the 1lb. Dark Nuts and Chews chocolate assortment. the nuts and chews box! Traditional Red Hearts with Assorted Chocolates. The strawberry truffles sound great! I like the milk chocolate truffles. The strawberry truffles would begreat! I love the Milk Chocolate Soft Centers!